Copyright ©2015 by Paul Niquette. All rights reserved. Illustration from Waking Times permission pending. hat must be the most popular aphorism in the world relevant to technology. But is it always true? Not so much. Many of the greatest inventions in history were not brought about in response to some necessity but instead actually gave birth to a new necessity. One might suggest that often there are different forces at work in the invention process: exploratory endeavors, human curiosities, offhand observations -- even accidental discoveries. The consequent invention then becomes something that mankind cannot live without. Some say half of the best inventions are in the latter category. 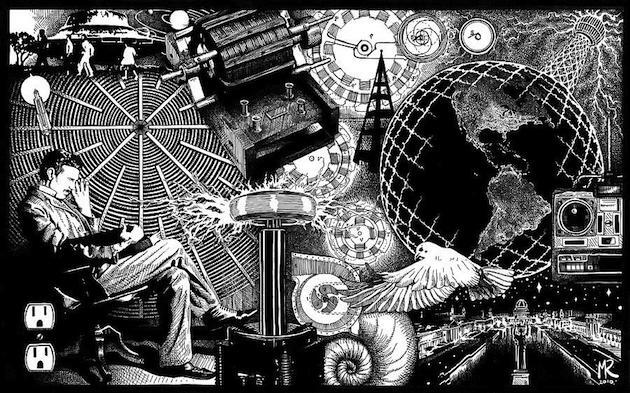 You are invited to decide for youself by scanning the names of 320 inventions listed by Encyclopedia Britannica as the "Greatest Inventions of All Time." ...and put each invention in one of two categories  response to necessity or  resulting in new necessity. My guess is you will find an even split. Same for my portfolio, by the way. "Greatest Inventions of All Time"
Seems like an opportunity for crowd-sourcing, to me. If you agree, send your recommendations here and watch this space.